Jahna and Lovern's clan lay in the Romans' path of destruction. The death of their people is a certainty, unless a bargain is made with the Gods, even if it means a human sacrifice. Will the trade the Druid Lovern, and his visionary wife, Jahna make with the Gods, save their family? Two thousand years later, Aine MacRae is on their trail. She's a struggling archaeologist, on the verge of uncovering the village were Jahna and Lovern lived. The farm where her site is located is for sale! But for a ghostly visit, greed almost triumphs leaving the truth and ancient stories buried forever and a lost love be rekindled. 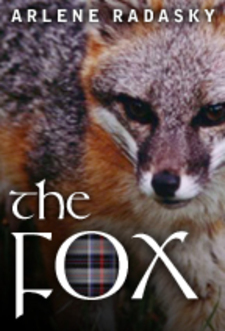 We will send The Fox to your Kindle at . The Fox has been sent successfully to your Kindle!